All-Event Ticket Packages , go on sale to the general public on Friday, Jan. 18 at 10 a.m. Sales of Weekend Packages and individual tickets will be in the spring and fall of 2019, respectively. Please click here to download a seating diagram detailing all-event package pricing. For the third time in less than 10 years, Greensboro, NC has been selected to host the U.S. Figure Skating Championship. 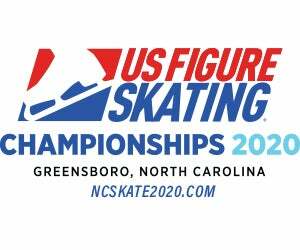 One of the city's favorite events, Greensboro looks forward to welcoming figure skating fans from across the country and the globe. There’s nothing like the spontaneity of a live skating competition — the skill, the beauty, the competitive spirit. The Greensboro venue is one of the most convenient on the circuit with Competition, Practice and FanFest all under one roof. This close proximity allows guests to see and do more. Join us in January, 2020 for the nation’s most prestigious figure skating event. It promises to be a memorable skating championship crowning the best in ladies, men’s, pairs and ice dancing competitions at the senior, junior and novice levels of U.S. Figure Skating.